Healthy, mini flavorful Christmas Veggie Kabobs in Marzetti’s veggie dip is a quick and easy appetizer at your next holiday party! Forget silver and gold, it’s all about red and green today. And I’m not just talking about the green veggies because I’m partnering with Marzetti ® today to give away a $50 gift card – woohoo!!! But veggies first. Just know that this is less of a recipe and more of a really fantastic Christmas party serving idea. A great way to get veggies into the bellies of your party attendees without sacrificing festivity and fun. I have made a slew of homemade veggie dips over the past few years but none have really made it onto my A-list. They been… good… but nothing to write home about you know what I mean. Until I make one that really makes me excited to whip it up again, I’ll stick with veggie dips I know I’m going to love and so will my guests. 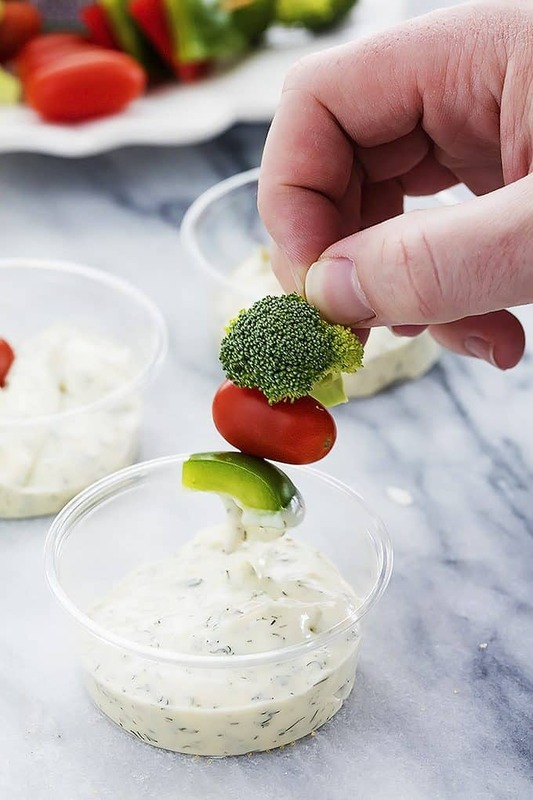 If you have a favorite homemade veggie dip recipe – EXCELLENT, it’s gonna go perfect with these little veggie kabobs, I just know it. 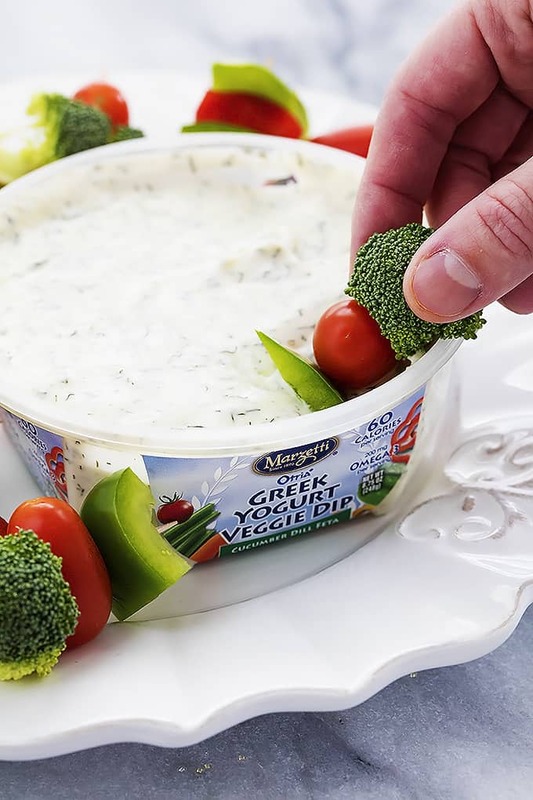 But if not, take a page out of my book and grab one of Marzetti’s Greek Yogurt Veggie Dips to go along with your veggies. They are thick, rich, have a great blend of savory flavors and HELLOOO, they’re made with Greek Yogurt. Besides the fact that a) this is the easiest holiday appetizer ever to exist and b) these little veggie kabobs are not only darling but totally healthy, you’re going to love that it’s entirely portable. It’s the holidays and that means traveling to friends and family’s houses for parties and gatherings, the last thing you need to worry about is a cheesy, saucy dish spilling all over your back seat on the way to Grandma’s. Do yourself a favor and make these veggie kabobs instead. You’ll thank me later. And don’t forget to leave a comment telling me what your favorite veggie dip is to be entered to win a $50 gift card!!! Happy holidays!!!! Healthy, mini flavorful Christmas Veggie Kabobs in Marzetti's veggie dip is a quick and easy appetizer at your next holiday party! Thread veggies onto toothpicks alternating with red and green veggies (if desired). Serve with veggie dip. This fun holiday appetizer has been sponsored by my friends at Marzetti – all opinions are 100% my own. Thanks for letting me work with the brands I love! Check out more of Marzetti’s dips here, or here! You can also follow them on Facebook and Twitter! The French onion dip is my favorite. 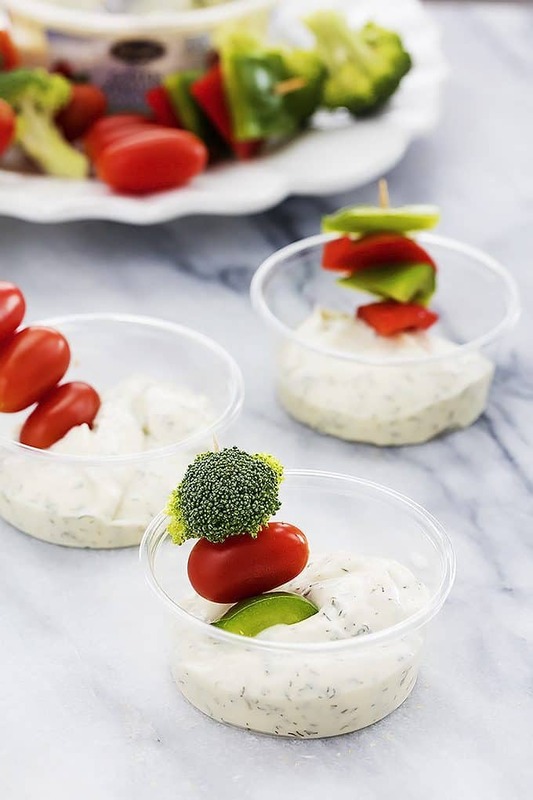 These kabobs are such a cute, fun healthy appetizer idea! 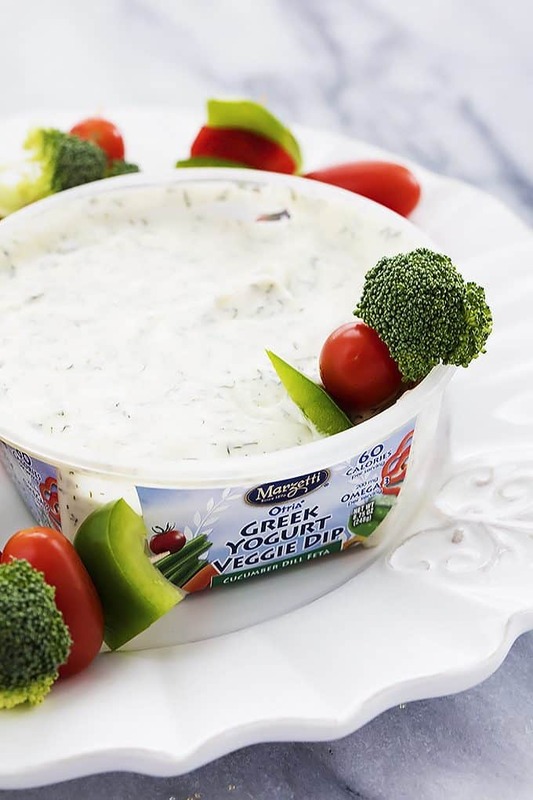 I am usually just a ranch dip kind of girl, but I am dying to try this greek yogurt dip! Sounds amazing!! Love the kabobs too! Uhhh…we have to a pick a favorite? French Onion was always my go-to…but the Blue Cheese looks so good. Thank you for the cute but easy party recipe. My favorite veggie dip is french onion.